Pancreatic cancer is tough but they’re taking it on. They are supporting those affected by the disease, investing in ground breaking research, lobbying for greater recognition of pancreatic cancer and being a voice for everyone involved in the fight. 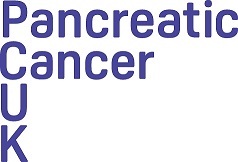 More information can be found here: www.pancreaticcancer.org.uk. and it is definitely worth a visit to the website as it is bursting with fascinating information. You can also donate on their website to help them further the research in to a cure.